To understand the context a bit better we need to think back to when European explorers started exploring the Pacific Ocean in earnest, a most curious thing met them at almost every stop they made: People. People spilled out of Southeast Asia thousands of years ago. They spread across the great ocean on little more than rafts, hopping from island to island, most likely facing starvation and death from exposure as they drifted off into the great unknown to see what was out there. Within a relatively short period of time they’d covered the Pacific Ocean from New Zealand to Easter Island to Hawaii. Hundreds of islands, all full of people. If we look at into the night sky and think of each star as an island in the pacific the question arises, if we go and explore, will we once again discover that someone has been there before us? Hopping from planet to planet like the Polynesians did here on earth so long ago? We should. Well, we should if life is out there. In fact, they shouldn’t just be out there – they should be here. And if we, people that is, decided to head for the stars now, or even if we waited a century to two to get the engineering issues that make space travel difficult sorted out – we could cover every habitable nook and cranny of our galaxy – a hundred billion stars – in as little as a few million years. A blink of an eye when compared to the age of the galaxy itself. It doesn’t require made up technologies and lightspeed vessels. We know how to do this. So then, if there are aliens out there, anywhere in our hundred billion stars in the night sky – or have been at any time in the past 10 billion years – and even one race, one species of aliens, burst out from their home and into the starry night, then everywhere we look in the heavens should be the home of an interstellar civilization. If more than one civilization arose and did the same, then space would be very crowded. Enrico Fermi thought the very same thing, and most stories say he blurted out the question while having lunch with colleagues. They should be out there, they should be here. But they’re not, at least not in a way we can recognize. There’s no shortage of possible answers. Many books have graced the shelves of our local libraries and bookstores on the topic. But no one knows. So I ask you. Where is everyone? You can visit Rusty at his blog The Blutonian Death Egg. As always, thanks for stopping by and I hope you enjoyed Rusty’s post. I sure did. And I invite you to stop by my Website at Breakthrough Blogs for my Aliens series. We’ll cover many topics beyond little green men. See you there! Today I have the honor of featuring one of my dearest blogger buddies, someone I often refer to as my online mom – author and poet, Yvonne Lewis. I met Yvonne during the very first A to Z Challenge! My theme for the last Challenge "Blast From The Past" to me was special as it took me back to my formative years when Rock'Roll was just staring out and there were so many singers that went on to greater things. The songs are still being played today, it was a wonderful era to be a teenager. My favorite movie is "Somewhere In Time" starring Christopher Reeve and Jane Seymour, It was a real weepie and had some wonderful background music. This was our third Challenge together. Do you remember anything from the first one? What I remember from the first Challenge was I was first to sign up, it was fun and I made many friends yourself included. It was also the start of gaining many followers, up til then I only had a few. You are a BIG fan of Daniel O Donnell. Confession time – how many times and places have you seen Daniel in concert? Alex this next question is the granddaddy of them all. 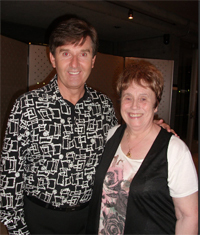 I have seen Daniel in concert in excess of 150 TIMES. Over a 14 yr period that is. I have seen him in S. Ireland, N. Ireland, England, and Scotland. In the US I have seen him at Branson MO, Las vegas, Palm Springs, Pasadena. Toronto, Wilkes Barre, Providence and Nashville TN. You also met Challenge founder, Arlee Bird. What is he REALLY like? What is Arlee Bird REALLY like? well Alex not to make Arlee blush, he is a real gentleman. He made both myself and brother most welcome in LA. It was the highlight of my vacation. As you imagine him to be in Blogsphere that is how Arlee is in person. You are a master poet and the author of two books. When did you discover poetry as a writer? I wrote my first poem in 1994 when my dog died, I didn't write again until 1998 when my first grandchild was born. Little did I think that from then on I'd be writing poetry 14yrs later. My mother passed away 10 days after my grandchild was born, three days later was told my husband had terminal brain cancer and he too was gone 2 months later. I found I could express my feelings into poetry and as the years have gone on have written much more lighter poems. Well, by fiction, of course (I am, after all, a writer)! Violet, the main character in the series, is one of an elite force of faeries training to become a guardian. 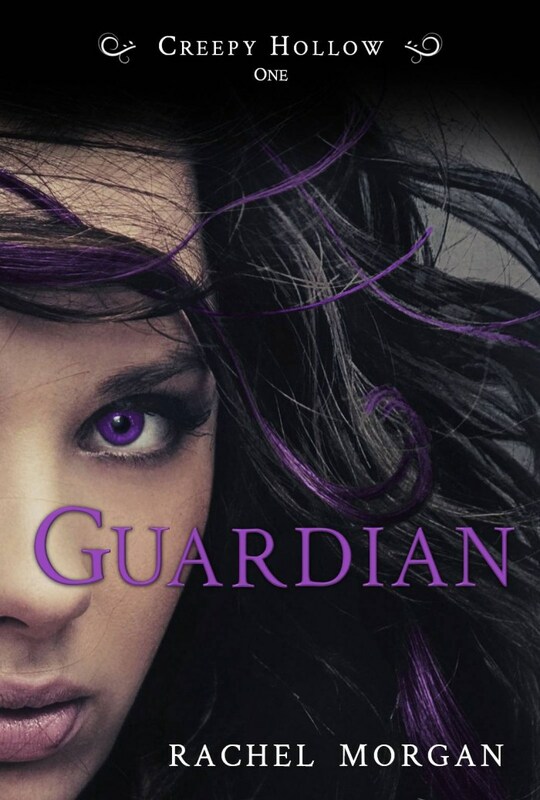 Guardians protect humans from dangerous fae creatures that find their way into the human realm. Sooooo, as a background to the Creepy Hollow series, I decided to do 26 flash fictions about 26 different assignments Vi's been on in the past, involving 26 different fae creatures. And that's where my theme, An A to Z of Creepy Hollow Fae, came from. Some fae creatures were those that people recognize (like elf, goblin and kelpie) while others were completely made up (like canttilee, flimsickle and nascryl). It was fun (though a lot of work), people enjoyed the stories, and it lead to them clicking through to download copies of my books :-) In April I sold more than double the number of copies I sold in March. A coincidence, perhaps, but I like to think it was because I was sharing more of my story world every day with new readers. 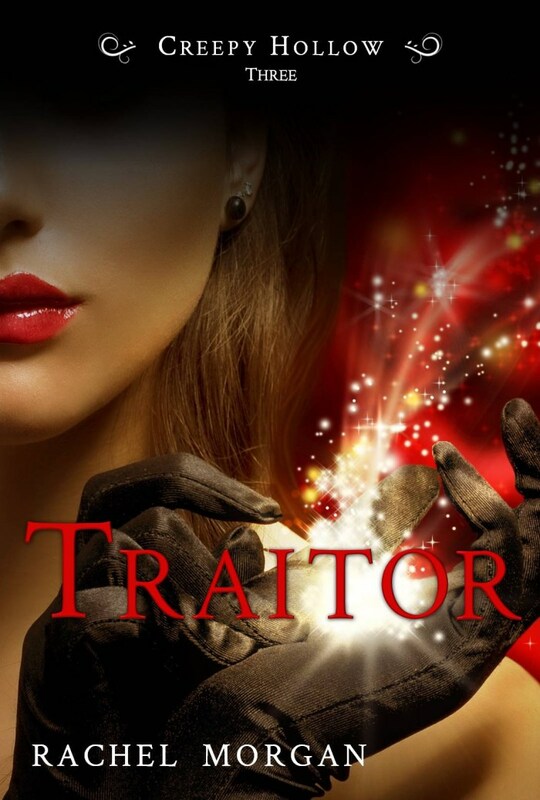 have you used to promote your books? Please give us your feedback about the A to Z Video Contest. 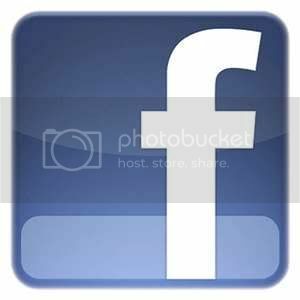 See the post from Monday May 28th and leave your comments. Today I had originally planned to post about the negatives of the A to Z, but instead something else came to my attention which I wanted to get your opinions on before I continued with the Challenge evaluation. I will discuss the bad next Monday. 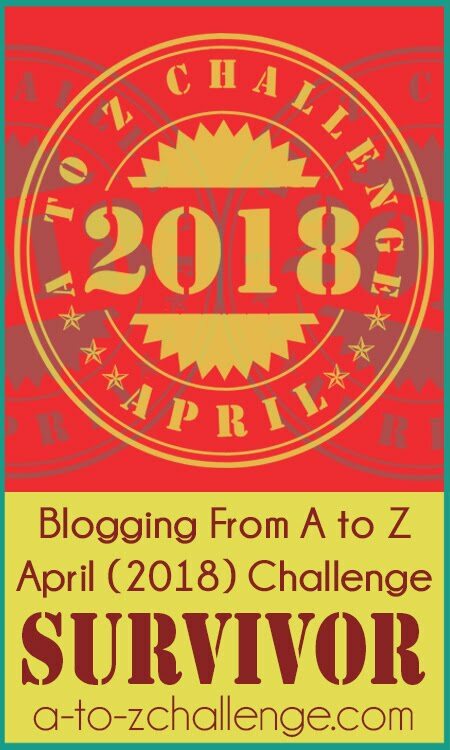 Here's a link that was brought to my attention through my Google Alerts for "Blogging from A to Z Video Challenge" You might enjoy checking this out. I found it to be quite a surprise. 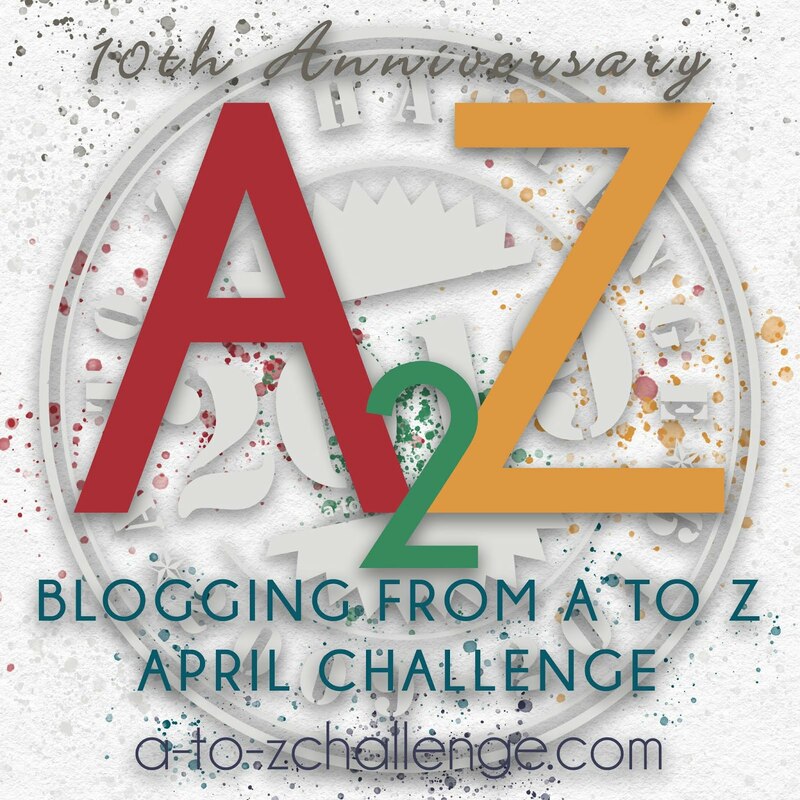 I've never seen a YouTube notice like this which includes not only all of the entries for the A to Z Video Contest, but also many links to blogs that have something to do with the A to Z April Challenge. Check this out. Your blog may have been included. Have you seen something like this from YouTube before? So far in the Reflections or the evaluations posts I haven't read anything about the A to Z Video Contest. I'll tell you more of my thoughts about the contest in a couple of weeks, but perhaps you can tell us yours in today's comments. Did you pay much attention to the Video Contest? Do you think it added value to the Challenge? Were the video promos that were later linked to on Twitter, Facebook, and elsewhere effective in reaching those unaware of the Challenge? Did you watch any of the videos? If you missed them, you can find them at YouTube or at the A to Z Video Challenge. How did you like this year's video entries? What suggestions would you give to the entrants? Would you be interested in submitting a video for a future contest? Would quality prizes such as gift cards, video related equipment, cash, or something else be a greater incentive to participate in a contest of this nature? 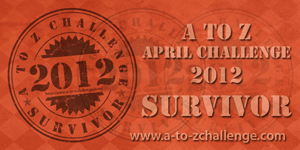 What suggestions do you have concerning a video contest for the A to Z Challenge? 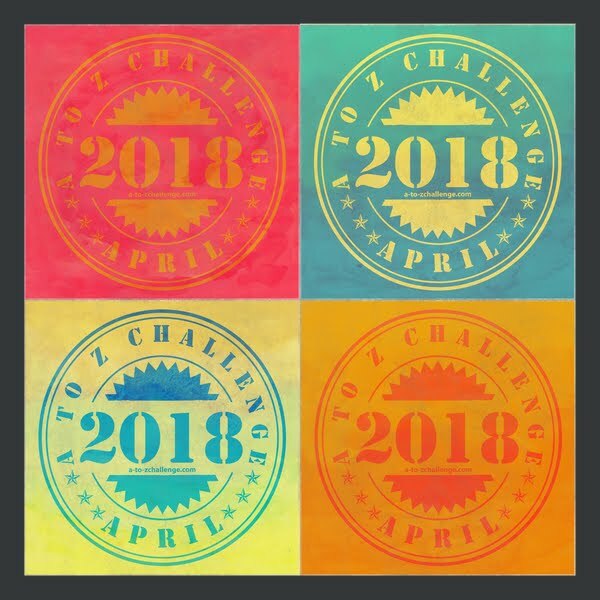 Are there other types of pre-April contests we might consider to bring more attention to the A to Z Challenge? It’s time for Alphabet Soup - The Word Scramble Puzzle for A to Z Wizards! Unscramble the following names of movie actors and actresses whose first name starts with letter J. The first commenter who has unscrambled all of them, or the most at best, wins this week’s Alphabet Soup game. Answers and the name of the winner will be posted here at the A to Z blog during next week’s “Friday Fun Time.” Word to the wise: Don’t let the spaces in these names fool you! Have an alphabetized weekend, everyone! This post is brought to you by AZ co-host Damyanti, from Amlokiblogs. April is long gone, and we've all moved on to new challenges. 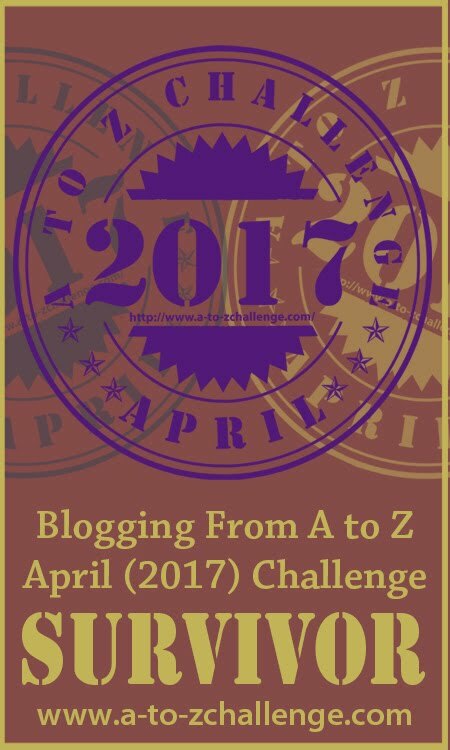 One of the challenges I find on many A-Z participant blogs is bloggers' block--- after the burn-out of A-Z, many bloggers have found it difficult to get up and go again. 1. Go blog-browsing: The more blogs you visit, whether via the Post A-Z Road Trip or otherwise, the more issues, problems, points of-view you'll come across. Some of them will trigger a response in you, and that could become your next blog post. Bonus: You'll have return-visits from the blogs you visited once your post is ready and published. 2. Dig up your old posts: That archive is good for something. You can re-post some of the posts you made long ago, which got you a good number of hits. Or, you could use them as an inspiration-- maybe you've learned more on the topic in the intervening period, or your point-of-view has changed. Bonus: When you link back to your own old posts, it helps search engines find you, giving you more hits. 3. Go wordless: A picture/ video really is worth a thousand words. You can also use them to jot down a few lines. Bonus: If you add titles and links to your pictures, this too would get picked up in a search-engine crawl. 4. Avoid Whining: Sure, if you have a regular audience that loves you, you'll get a lot of mollycoddling when you make the occasional rant or whine. But tackling your block by repeatedly moaning about it would only turn off potential readers. Bonus: When you avoid negatives, you make space for positives--- before you know it, you'll find your blogging vim back again. 5. Create Drafts: To quote yet another hackneyed proverb, prevention is better than cure. If you see an interesting picture, idea, issue--anything, in short, that could be of interest to your blog, copy it down in a blog draft. That way, when the lean times hit, you have a ready resource at hand to tide you over. Bonus: When you have that many drafts sitting around, you might even be tempted to schedule posts in advance. These are only a few tips to fight the dreaded block. I'm hoping the super-bloggers amongst you would add more advice in the comments. Now go beat that bloggers' block-- and get yourself a trigger finger instead! Today it's my pleasure to introduce to you another guest poster, A-Z participant Jo Wake whose blog is: JO ON FOOD, MY TRAVELS AND A SCENT OF CHOCOLATE. Please sample her unique point of view: we need to slow down and cook the old-fashioned way for great results worthy of the guest we entertain. I am having a day of stealing, this recipe was from Viveca’s My Guilty Pleasures and I asked her if I could use it. 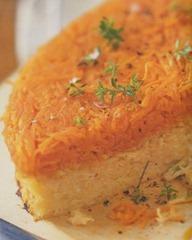 Very different recipe, and one I shall certainly try. 1. 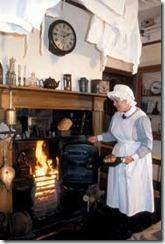 Preheat oven to 200C/ 390F/Gas 6. Peel and coarsely grate the carrots, parsnip and celeriac, keeping each vegetable separate bowls. 2. Warm honey, lemon juice and butter on low heat until melted. Season with salt and pepper add some picked thyme leafs. Pour a third of the honey butter mixture over each vegetable and coat well. 3. Line a shallow 20cm/8in spring form cake tin with non-stick baking parchment. Spoon carrots into the tin, spread evenly and press down, repeat with parsnips and finish off with celeriac the same way. 4. Cover with buttered foil and bake for 35 min, then remove the foil and bake for a further 10 min until brown on top. 5. Leave to stand for 10 min then turn out – cut in wedges and garnish with picked thyme sprigs. I plead guilty to somewhat dropping the ball on this post. I waited until the last minute to compose this so it may not be as thorough as I had hoped. On the other hand, if you've read even just a few of the Reflections posts you saw many of the same good points of the A to Z Challenge repeated many times. Or you could just go back to lasts year's post of The Positives of Blogging from A to Z and that pretty well sums up most of this year's positives. I'll mention some of the obvious positives in passing. Many of you cited the benefits of improving your blogging or writing skills by posting something everyday. There were the elements of self-discipline and creative thinking. Sense of community and opportunity to meet new bloggers was often mentioned. The diversity of participants and the high quality of the writing on many of the blogs were other positives that were pointed out. Several people told how they broke in new blog or revived on old blog with the Challenge. For these bloggers it was a trial by fire experience that helped instill good blogging habits and add followers. The learning experience that A to Z offers is something veterans can use to encourage new entrants in the future. One thing that I had neglected to mention in my previous thank yous, but was brought up in many of the Reflections posts is the addition of the Navigation Buttons offered by Marcus Clearspring. These were tremendously popular last year and we had many requests for their return this year. Fortunately Marcus came through again and once again the Navigation Buttons were a hit. Thank you Marcus. We received a number of kudos for the responsiveness, presence, and helpfulness of this year's A to Z Team. We thank you for your kind words and I for one will concur on this. Thank you Team--great job! Hopefully, you can give us some numbers, but I've heard of a number of the April A to Z series that will be getting published in one form or another. That A to Z is becoming a springboard for published works is great news. Last year I heard about at least three books that came out of the Challenge. I know of a few from this year's Challenge, but I think there will be more. If you have a book or some published material that was born from A to Z, let us know in the comments and keep in mind that since we are accepting guest posts at the A to Z Blog we would like to hear from you if you would like to do a post about your book. 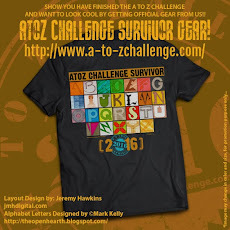 One other thing that many of you saw as a big positive and I heartily agree is this A to Z Blog. This has been a great forum--or as one of you said "water cooler site". Being able to have a site devoted to A to Z news and tips leading up to and during the Challenge was a huge benefit in many ways. There is a lot more that we can do with this site. What are some of your suggestions about this? A couple of excellent Reflections posts that you might like to check out are those of Elise Fallson and Susan Kane's thecontemplativecat-- very different in presentation, but both capturing the essence of the spirit of the April Challenge and what it represents. But by all means don't stop there. If you haven't read any of the Reflections posts yet, you should read at least a sampling. Over four hundred of you have left your A to Z Reflections, which is a pretty impressive statement in itself. Next Monday I'll be discussing some of the negative aspects that we heard from the Reflections posts and elsewhere. Then on the following Monday I'll bring it all together with your comments from these two posts and some additional ideas I have about this year and next year. That's what I've got for now. What positives can you think of that I've left out? Do you agree with the ones I've mentioned? What was the biggest A to Z plus in your mind? Lots of carefully alphabetized activities are in store for you all starting this month! Some of you are already familiar with me, either from my guest posts at Tossing It Out or by reading my blog, The Madlab Post. For those who may not have ever read my posts, however, here is a quick primer: I am a writer and filmmaker who sometimes publishes short movie reviews and helps other blog readers figure out whether they comment like Harry Potter or not. You can Get to Know more about me Here, if you’re really interested. 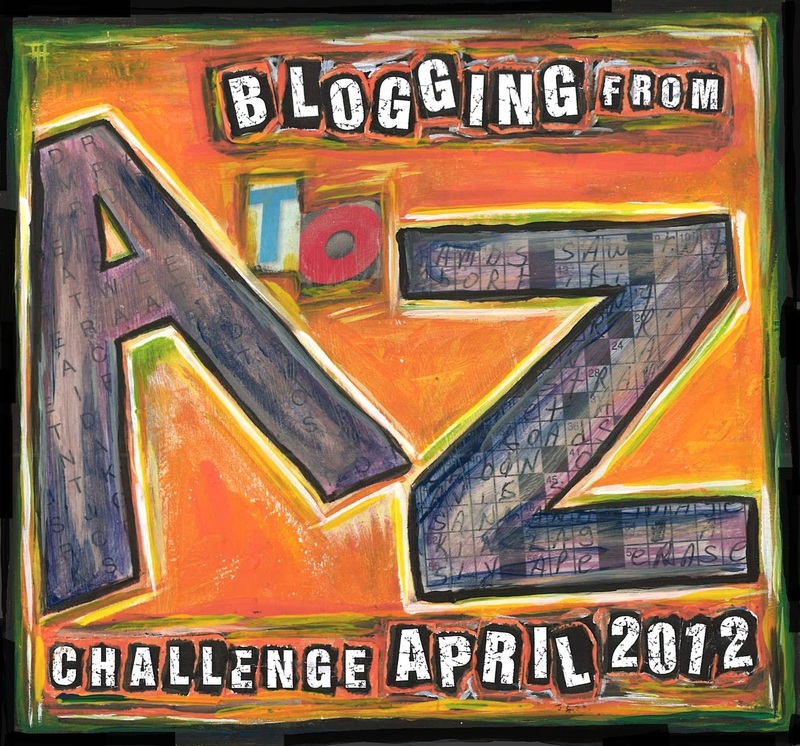 What letters did YOU find the most difficult to blog about during this year’s 2012 A to Z Challenge? Home of the Monday Movie Meme! 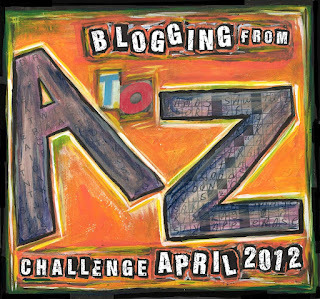 Hi everyone, and thanks for joining Stephen Tremp here at the Official Blogging A to Z Challenge site. I’ve started a new series every other Thursday spotlighting the latest and greatest in the world of science. I’ll focus mainly on physics, astronomy, and nanotechnology and how recent discoveries help unlock the secrets of our universe and our place in it. Sound fun? Oh, and I need a name for the series, so if you can think of something clever and catchy, please post it in the comments. Thanks! May 2 Black Hole Caught Red-Handed in a Stellar Homicide PASADENA, Calif. – Astronomers have gathered the most direct evidence yet of a supermassive black hole shredding a star that wandered too close. Supermassive black holes, weighing millions to billions times more than the sun, lurk in the centers of most galaxies. These hefty monsters lie quietly until an unsuspecting victim, such as a star, wanders close enough to get ripped apart by their powerful gravitational clutches. May 8 NASA's Spitzer Sees the Light of Alien 'Super Earth PASADENA, Calif. – NASA's Spitzer Space Telescope has detected light emanating from a "super-Earth" planet beyond our solar system for the first time. While the planet is not habitable, the detection is a historic step toward the eventual search for signs of life on other planets. "Spitzer has amazed us yet again," said Bill Danchi, Spitzer program scientist at NASA Headquarters in Washington. "The spacecraft is pioneering the study of atmospheres of distant planets and paving the way for NASA's upcoming James Webb Space Telescope to apply a similar technique on potentially habitable planets." May 14 Earth-Orbiting Asteroids An asteroid the size of a school bus gave Earth a close shave Sunday, passing well inside the orbit of the moon, but our planet was never in any danger of being hit. Such close asteroid flybys aren't terribly uncommon. Researchers have discovered about 8,900 near-Earth asteroids, though they think many more are out there. Scientists with the Near-Earth Object Program and other teams of astronomers regularly monitor the sky for large, potentially dangerous asteroids to determine if they pose an impact threat to Earth. May 20 Rare Ring Eclipse A rare "ring" eclipse is coming to California this weekend — the first of its kind to enter the continental United States since 1994. The zone where a partial eclipse is viewable is much wider, stretching over most of eastern China, Korea, the Philippines, Siberia, Hawaii, Canada and Mexico. NASA has posted calculations of solar eclipse times in foreign countries and the United States. NASA has also set up a nifty interactive Google map showing times of the eclipse California. A word of caution: don't look at the sun directly during the eclipse! Experts say it's possible to cause permanent damage to eyesight. Check the Internet for Webcasts of the event! June 6 The Rarest Eclipse: Transit of Venus Across the Face of the Sun A Venus transit is a phenomenon in which the disk of the planet Venus passes like a small shadow across the face of the Sun. The transit can be seen (with proper protection!) by the unaided eye and looks something like a moving sunspot. Among the rarest of astronomical events, Venus transits occur eight years apart—and then don’t happen again for more than a century. The last transit before 2004 took place in 1882. 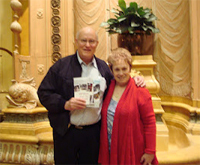 You can visit Stephen Tremp at his blog at Breakthrough Blogs.